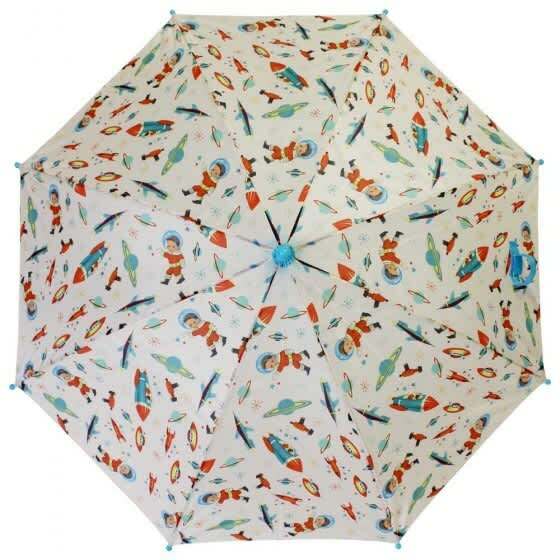 Shower resistant PU umbrella in our retro Space Boy design with electric blue handle by Powell craft. Fastens with velcro tab. Opens automatically with a button.